Kids are out of school and summer is here! 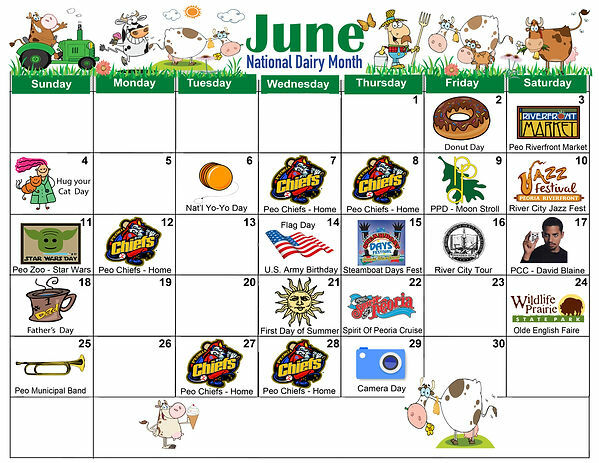 Say, what a coincidence, so is the June Haymeadow Events Calendar too! We hope you&apos;re enjoying the new look and and additional local, Peoria events! As always, if there are events you&apos;d like added to the calendar, please let us know!Message us on Facebook or send us a message on our "Contact Us" page! And, as always, we appreciate you stopping by our blog! Thank you!